Land grabbing takes place on every continent but 60% of global land grabbing takes place in Africa where multinationals and foreign investors often pur-chase huge tracts of land which are cheap, resource rich, easily accessible and close to infrastructure. This land is often sold by host governments without any consultation with local communities. Traditional or customary land rights are often disregarded and local people then have to compete with international com-panies for water and other resources. With local farmers deprived of land on which to sustain their families, the practice of land grabbing contributes directly to poverty and to social conflicts. Depending on the scale of the land grab, sometimes entire villages are displaced. The purported benefits of the international investment in the form of employment and training, development of infrastructure and improved local economies have not materialized to any great extent and there are real concerns about the long term environmental effects of these industrial scale projects. Those farming the land under new ownership are focused on mass production for export and profit making, using methods which have a damaging effect on the biodiversity of the areas in which they farm; all of this has serious long term consequences for the indigenous people of these areas. No one knows exactly how much land has been leased, the terms of the leases or the rent that is paid; such endemic secrecy shields corruption and the blatant disregard of human rights. 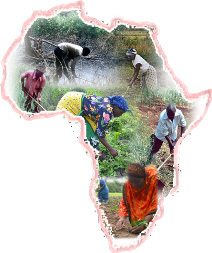 Read the Land Grab in Africa document from the SMA Justice Office.